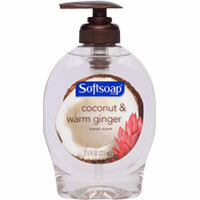 Softsoap soap, shower gel, lotion and fragrance list. Sinfully rich and delightfully creamy. Thick, sweet-smelling formulas designed to revive and delight with naturally-inspired fragrances. Inside each box is a feast for your senses: luscious fruit fragrances and natural extracts, now captured in a bar. Lather, rinse, revitalize. A splash of water is all you need to activate extra-special formulas -- ripe with natural extracts, delightfully fresh scents and gorgeous jewel tones. 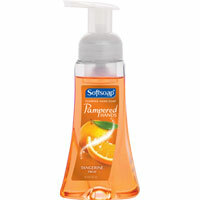 Hints of juicy fruit fragrance playfully tickle the air while rich foam formulas -- enhanced with light moisturizers -- leave hands feeling soft and smooth. 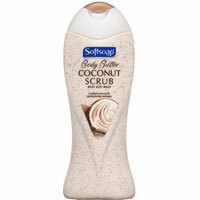 Softsoap bath and body care: Patented in 1865 by New Yorker, William Sheppard, for his "improved liquid soap", SOFTSOAP became the common standard. 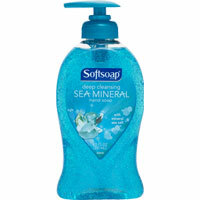 The Minnetonka Corporation, located in Chaska, Minnesota, designed the liquid soap for mass retail sale in 1980. 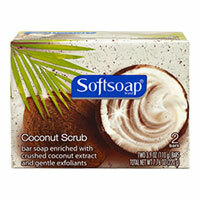 The Colgate-Palmolive company purchased Minnetonka's liquid soap business in 1987. 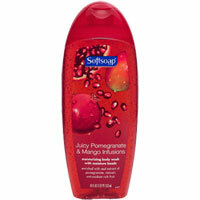 Shop for bath & body fragrance: , or Walmart - Introducing FREE 2-Day Shipping at Walmart.com!